Releasing in 2017 for Xbox One, PlayStation 4, PC, Mac and Linux, indie developer Over the Moon Games, today announced that The Fall Part 2: Unbound will also be coming to Nintendo Switch. Is artificial intelligence a threat to humanity? Can it be bound? What binds you? We’ve all heard the adage: the best science fiction stories are the ones that, while simply being great entertainment, also point to something more philosophical, inviting players (or readers, traditionally) to think. Over the Moon aims to join that fine tradition with their highly anticipated upcoming sequel, The Fall Part 2: Unbound, in which players take on the role of A.R.I.D., an abandoned and broken AI who struggles to survive a collapse in her operating parameters. ARID must re-establish her boundaries by attempting to build her own rules before a dark, mysterious, and invasive process snuffs her out for good. The key, of course, is to keep the game exciting and fun, allowing gameplay to carry much of the story-telling. ARID will invade other robots in a desperate attempt to get their help, and will be forced to work within their personal quirks and operating parameters, creating an opportunity for a truly unique set of challenges. Furthermore, as ARID begins understanding her hosts on a deeper level, she will be able to take perceptual mechanics from one robot into another. Players will solve puzzles by perceiving the environment from different perspectives and comparing the information they find in creative ways… served up with a helping of The Fall’s signature dark humor. But that’s just the start, according to the team at Over the Moon. The Fall Part 2: Unbound aims to put players in perspectives that they’ve never experienced in a video game before. With a host of unusual characters, it explores themes of artificial intelligence, the value of personal boundaries and respecting others. Its gameplay and its story are specifically designed to make players reflect on these ideas, through the lens of a familiar Metroidvania meets Point and Click Adventure framework. 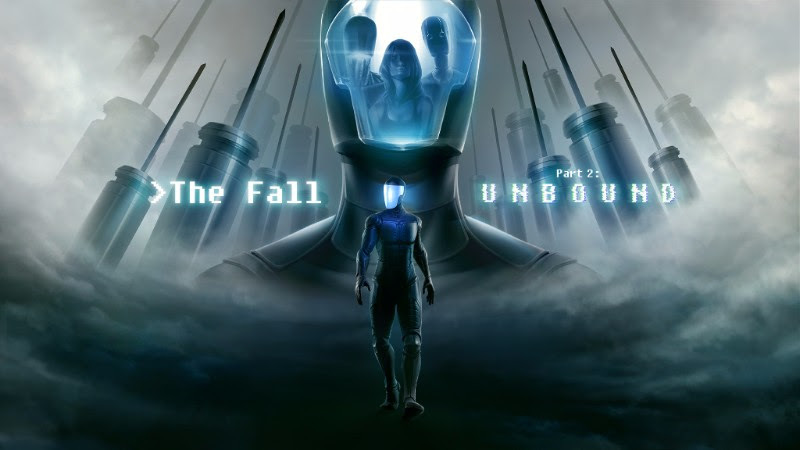 The Fall Part 2: Unbound is made for players who have been waiting for the conceptual underpinning of games to catch up with their technological artistry. Releasing in 2017 for Xbox One, PlayStation 4, Nintendo Switch, PC, Mac and Linux, The Fall Part 2: Unbound is a bold leap forward for video game storytelling.